What does it mean if most of the world’s excess body fat is in the U.S.? Most of the world's extra body fat is attached to bodies living right here in the U.S.
New data from the UN and the World Health Organization shows that the entire adult global population is nearly 17 million tons overweight. And researchers in London found that while the average global body weight is 137 pounds, the average weight in North America is 178 pounds. In other words we are 41 pounds heavier on average than the rest of the world. While North America has only 6% of the world's population, it makes up a third of the world's weight due to obesity. Compare that to Asia which has 61% of the world's population but only 13% of its weight due to obesity. One researcher tells the BBC that if every country had the same fatness we have in the U.S. it would be like an extra billion people of average weight. And scientists say this global fatness is a real concern. It's straining the world's food supply and environmental resources. Fatter people need more energy - and they eat more. This means the competition for environmental resources isn't always about population growth, "when it comes down to it, it's not how many mouths there are to feed, it is how much flesh there is on the planet." And we've got plenty of flesh to spare here. Experts suggest the best way to fight global fatness is programs that encourage more physical activity - like walking and cycling. Here’s my question to you: What does it mean if most of the world’s excess body fat is in the U.S.? Should Michele Bachmann's health be an issue in the race for president? Michele Bachmann's on a roll. A new NBC-Wall Street Journal poll found the Minnesota congresswoman in second place among Republican candidates for president, behind only front-runner Mitt Romney. It's the second national poll to put her in second place, and she's come out on top of three of the four most recent polls of likely Iowa caucusgoers, too. But her surge in the polls could be coming to a screeching halt. Online news site the Daily Caller reported Tuesday that Bachmann suffers from chronic, debilitating migraine headaches. At times, the migraines have been bad enough that she has had to be taken to a hospital to be treated for them. Three anonymous former aides to Bachmann who spoke to the Daily Caller recalled incidents where she couldn't work and missed House votes because of her condition. Another former staffer told Politico that it's common for Bachmann to retreat to her private office, close the door and shut the lights off – sometimes for hours – to wait for a migraine to pass. From the campaign trail in South Carolina on Tuesday, Bachmann admitted that she does suffer from migraines and that she takes medication to treat them. But she downplayed the condition and said it does not interfere with her work. And, she said, the headaches have not interfered with her busy schedule as a candidate. But the race has only just begun. On Wednesday, the Bachmann campaign released a note from her doctor acknowledging her migraines and saying that her overall general health is good. The news is bad timing for Bachmann, who, despite making gains in polls recently, has been under fire from gay rights groups over her husband's Christian counseling business as well as the "marriage vow" agreement she signed. The agreement was written by a conservative group that opposes gay marriage. Social issues dog candidates on both sides of the aisle in any election, and some candidates are able to overcome them. But serious and potentially debilitating health issues are a different story. Ask Tom Eagleton. Here’s my question to you: Should Michele Bachmann's health be an issue in the race for president? What if pharmaceutical companies' influence led W.H.O. to exaggerate swine flu threat? Fears of a global pandemic, millions of deaths, shortages of vaccines... and on and on? What we wound up with - fortunately - didn't even come close. There were far fewer deaths than expected and more than 70 million unused doses of the newly created H1N1 vaccine - in the U.S. alone. And now there's this: Two reports in Europe say the World Health Organization vastly exaggerated the swine flu threat. They say decisions were poorly explained and not transparent enough; and that's why public trust in the W.H.O. is "plummeting." These reports suggest the UN's health agency didn't disclose possible ties to the pharmaceutical industry when recommending how countries should respond. They say the W.H.O. caused widespread and unnecessary fear - and caused countries to waste millions of dollars. All the while - and here is the kicker - the agency was getting advice from experts who were on the payroll of the pharmaceutical companies that manufactured the swine flu vaccine. The W.H.O. says claims that this was a fake pandemic are "irresponsible" and they insist that the organization was never improperly influenced by the pharmaceutical industry. Other experts are defending the health organization, too... saying they made the best decisions they could under the circumstances. Nevertheless, in light of the charges... the W.H.O. has launched two investigations. Here’s my question to you: What if influence from pharmaceutical companies led the World Health Organization to exaggerate the swine flu threat? Should cell phone stores have to post radiation levels? San Francisco could become the first city in the country to require radiation labels for cell phones. Mayor Gavin Newsom is backing a proposal that would require stores to post the radiation levels next to each cell phone - in a size at least as large as the price. They would also have to tell customers what the radiation levels mean. So far - scientists don't agree whether cell phones pose a health hazard, and the Federal Communications Commission insists that all phones legally sold in the U.S. are safe. Not surprisingly - a cell phone industry group disputes the idea that cell phone radiation is dangerous. They point to research from groups like the American Cancer Society that cell phones are "unlikely" to cause cancer... and from the World Health Organization that cell phones aren't a public health risk. But not everyone is so sure. One advocacy group says only recently have studies taken a look at radiation effects of people using cell phones for more than 10 years. They point to research in other countries that shows increased rates of brain and salivary gland tumors - especially on the side of the head where people use their cell phones. In any case - there are 270 million cell phone subscribers in the U.S... and, if this becomes law in San Francisco - California often times leads the rest of the country when it comes to this stuff. 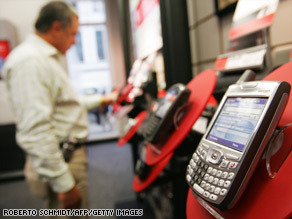 Here’s my question to you: Should cell phone stores have to post radiation levels? How confident are you the government can prevent a swine flu epidemic? With the swine flu now widespread in 48 states, Americans are starting to lose confidence in the government's ability to prevent an epidemic. A new CNN/Opinion Research Corporation poll shows only 51-percent of those surveyed are confident the government can stop a nationwide epidemic of the h1n1 virus. That number is down from 59-percent in August. 49-percent say they're not sure the government can prevent an epidemic; and that's up from 40-percent this summer. The poll also shows only a little more than half of those surveyed think the government and private industry can provide enough swine flu vaccine for everyone who wants it. That number is virtually unchanged in the last few months. Meanwhile mothers with children younger than 18 are especially skeptical about the government's abilities here. Perhaps not surprising when you consider that children are some of the hardest hit by this virus; and a lot of people still can't get their hands on the vaccine. Health officials say there are more than 41 million doses of the H1N1 vaccine available. Here’s my question to you: How confident are you the government can prevent a swine flu epidemic? Concerned about possible cell phone health risks? An international study is expected to show that people who use cell phones frequently face a higher risk of getting brain tumors. The British Newspaper "The Daily Telegraph" reports on a decade-long study of nearly 13,000 people in 13 countries - overseen by the World Health Organization. According to the paper, the report says a definitive link couldn't be proven; but several of the studies conducted seemed to show an increase in various kinds of brain cancers. The report is due out before the end of the year, but lawmakers here in the U.S. have already been focusing in on the issue. Democratic Senator Tom Harkin has said he's concerned no one has been able to prove cell phones don't cause cancer, and promises his committee will take a look at that question. Harkin says it reminds him of the nation's experience with cigarettes - and how it took decades to prove that they caused lung cancer. 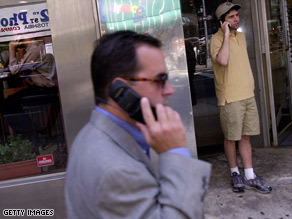 If the lobby for the wireless phone companies is as powerful as the tobacco lobby, it could be a long debate. And cellphones are much more widely used than cigarettes. It's estimated 275 million people use them in the U.S... and four billion worldwide. But so far, research hasn't established a definitive link between cell phones and different kinds of cancer, including brain tumors. But the Telegraph says this study contains evidence there is a link. Here’s my question to you: Are you concerned about possible health risks associated with cell phone use? Federal gov't OKs medical marijuana. First step toward legalization? Public support for legalizing marijuana is at an all-time high - no pun intended. 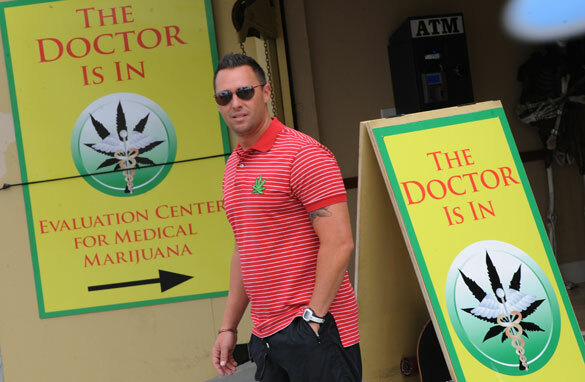 And coincidentally, the Obama administration is easing up on the use of medical marijuana. The Justice Department now says pot-smoking patients and their authorized suppliers shouldn't be targeted for federal prosecution in states that allow the drug for medicinal purposes. Officials say it's not a good use of prosecutors' time... Although they say agents should pursue marijuana cases that involve violence, the illegal use of firearms, selling pot to minors, money laundering or other crimes. Supporters say marijuana helps treat chronic pain, nausea and other illnesses... while critics say this move is a step backward in the fight against Mexican drug cartels. 14 states currently allow some use of marijuana for medical reasons. California is especially known for having pot shops everywhere. A new Gallup poll shows support for legalizing marijuana has shot up in the last few years to 44 percent. 54 percent are opposed. Support for legalizing weed had been fixed at around 25 percent from the late 70s through the mid-90s. Liberals and younger people are more likely to favor decriminalizing pot... no surprise there... while conservatives and seniors are more likely to be against it. Gallup suggests that if public support continues growing at the same rate - the majority of Americans could favor legalizing the drug in the next few years. California voters may get to weigh in next year with a ballot initiative to legalize and tax marijuana as a revenue source. Here’s my question to you:The federal government OKs medical marijuana. Is it the first step toward legalization? When it comes to flu season, this year is a two-fer. In addition to the regular old garden variety flu - we have the added worry of swine flu. Officials now say swine flu has been linked to the deaths of 11 more children in just the last week. 43 children have died from swine flu in the last month. 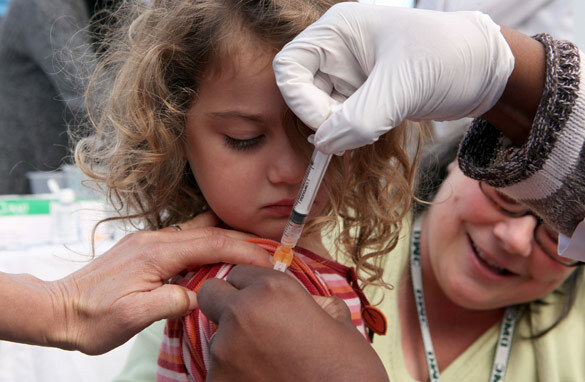 In a normal winter - fewer than 50 children die from the flu in the entire season. 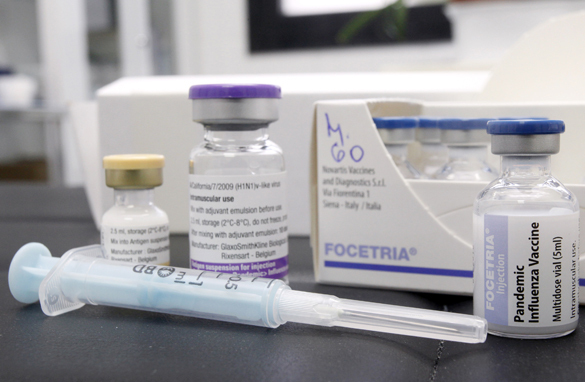 One vaccine maker says children under 10 will likely need two shots of the swine flu vaccine to develop full immunity. Not surprising - since children need two doses of the regular flu vaccine the first time they get it in order to develop full immunity. So have fun with the kids and getting their four flu shots. For adults - it's believed one shot of the swine flu vaccine is enough. Here in New York, health care workers had been ordered to get vaccinated or face losing their jobs. But today a judge temporarily halted the mandatory vaccinations. And even though the swine flu is causing what's called widespread disease in 41 states - a lot of people don't plan to get the vaccine. Some say they're concerned about side effects or the safety of it. The New Yorker reports in an article called "The Fear Factor" that "the anti-vaccine, anti-government and anti-science crowd" has had a big impact on public opinion… even though the odds that a vaccine would make you sicker than the illness itself are "practically zero." Here’s my question to you: Do you have any reservations about getting a swine flu shot? 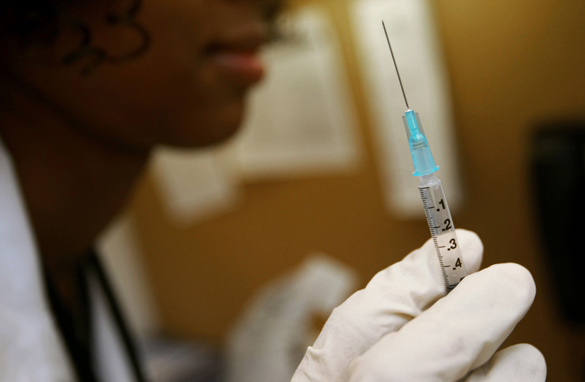 Should health care workers be forced to get flu shots? Get your flu shot or you're fired... that's the ultimatum for health care workers in New York state. So far, New York is the only state requiring workers to get vaccinated against both the seasonal flu and swine flu. All health care workers in New York, including doctors and nurses, have until November 30 to get their shots - or they risk losing their jobs. New York Health officials insist that the vaccines will protect the workers... and their patients - from getting the flu. But some people don't like the idea of forced vaccinations... and they planned a rally in Albany today to protest the measure. Opponents say it violates their personal freedom... and they also point to the possibility of getting ill from the vaccine, highlighting deaths associated with the government's last swine flu vaccine in 1976. They also say it's unnecessary - that they won't catch the flu because they wash their hands so often. The Centers for Disease Control & Prevention says flu activity is increasing in the U.S., with more than half of all states already reporting widespread flu activity. 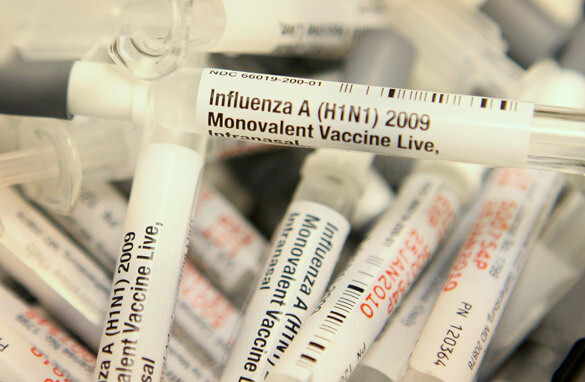 Both the H1N1 and seasonal flus are expected to cause hospital stays and deaths. The regular flu alone kills about 36,000 people a year in this country; and the number of deaths from swine flu potentially could be much higher. Here’s my question to you: Should health care workers be forced to get flu shots under threat of losing their jobs? Should employer have to pay for employee's weight loss surgery? 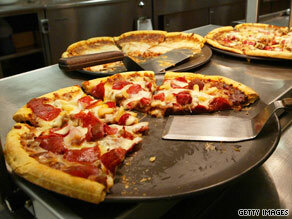 An Indiana pizza shop has to pay for weight loss surgery for a 340-pound employee. An appeals court upheld an earlier ruling that the employer must cover the surgery - which could cost as much as $25,000 - so that the man can have another surgery for a back injury he sustained while on the job. The pizza shop had agreed to pay for the back surgery... but argued they shouldn't have to pay for the weight-loss operation because the man was already obese before he got injured. But the court said the surgery should be covered because the man's weight and the accident combined to create a single injury. Oregon's Supreme Court recently ruled that the state worker's compensation insurance had to pay for gastric bypass surgery in order for a man's knee replacement surgery to go smoothly. In a nation where one-third of adults are obese, these cases could have a chilling effect on business. Employers could become wary of hiring fat people or those with other preexisting conditions that could make a workplace injury more likely. Experts say although it's illegal for companies to refuse to hire an overweight person because of where they tip the scales, they could find other reasons not to hire them. 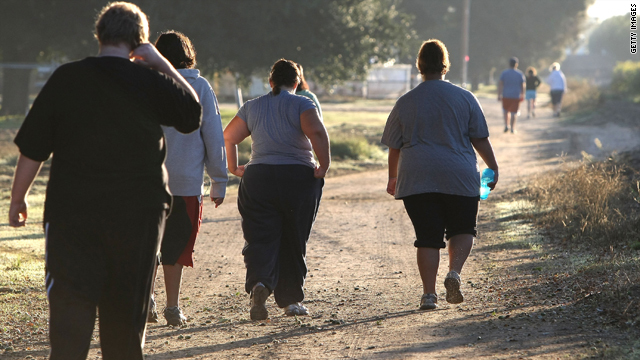 There were more than 220,000 obesity surgeries performed in the U.S. last year. Here’s my question to you: Should an employer have to pay for an employee's weight loss surgery?